Dish Network is expanding its broadband offering with the official launch of dishNet, a satellite-based service that will go live Monday and aims to bring high-speed internet to rural places in the US with slow or no access at all. Plans start at $39.99 for 5Mbps download and 1Mbps upload with a cap of 10GB of data per month, when bundled with a Dish programming package and a two-year contract. Upgrading to 10Mbps download speeds and 20GB of data allowance will cost $49.99 per month. 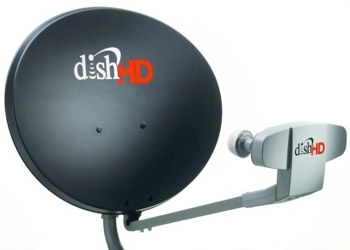 Existing Dish subscribers and those who pick up the TV service for the first time are eligible for the aforementioned dishNet rates and get free next-day installation. Otherwise, anyone subscribing to dishNet as a standalone service will need to pay $99 upfront for installation and the full monthly fee which goes up $10 more. The company also offers wireline service through local exchange carriers in 14 states. These plans will be folded into the dishNet brand and will start at $29.95 for 7 Mbps download, with upgrades to 12 Mbps for an additional $5 or 20 Mbps for $10 more. Although the latencies and data caps involved with satellite-based Internet services make it a tough sell next to traditional broadband in urban areas, it’s still a big deal as roughly one-in-four US rural residents lack a high-speed connection. The company already offers satellite web access in select parts of the country through a partnership with ViaSat but now it is making broadband access available nationwide. In other news, Bloomberg reports that Dish has approached cable networks such as MTV, Univision, and Scripps Networks Interactive (owner of the Food Network and HGTV) regarding the possibility of offering access to their content live over the Internet. Apparently they’re still far from reaching a deal but the idea is to offer channels individually or as part of small bundles at a discounted price, instead of as part of large bundles that force customers to pay expensive fees for channels they ultimately don’t watch.